The most expensive seats in the stalls are priced at an eye-watering £90, although these are premium seats in the middle of the stalls. Band A seats are £67.50. Back in row U, there are restricted view seats at £32.50. But the front two rows are only £42.50 – these are amazing seats. You have to look up slightly, but in no way is this irritating. The view, on the other hand, is great – you feel as if you are getting a private performance by Robert Lindsay, Rufus Hound, Samantha Bond and Katherine Kingsley. 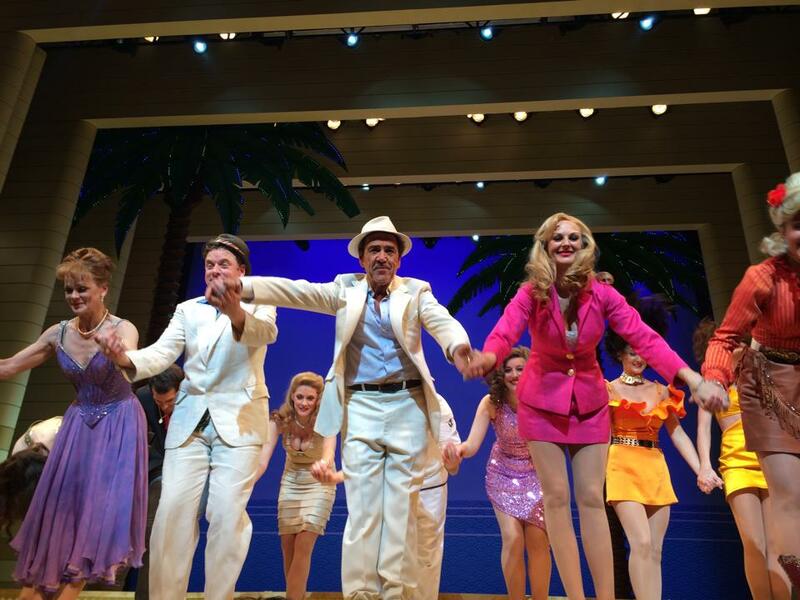 So, if you are thinking of seeing Scoundrels, row A or BB are great value if you like to be close to the action. Showbusinessinsights will from time to time share other tips and secrets to help readers see shows for less or help you get tickets for shows that will sell out. If you have secrets and tips, please share them here by commenting. This entry was posted in Economics, Theatre and tagged bargain, Dirty Ritten Scoundrels, Katherine Kingsley, Lizzie Connollly, musical, Robert Lindsay, Rufus Hound, Samantha Bond, Savoy, ScoundrelsUK, theatre, tickets, West End by showbusinessinsights. Bookmark the permalink. Whats the legroom like in BB? Pretty reasonable, Guy. You can stretch your legs quite a way.